Kingston has access to an extensive fleet of earthmoving equipment and tip trucks Victoria wide. Lower operating costs than similar functioning machinery. Kingston mostly supplies Excavators in the 2 to 40 tonne (operating weight) category. We are a specialist hirer of Mini Excavators for confined space work. 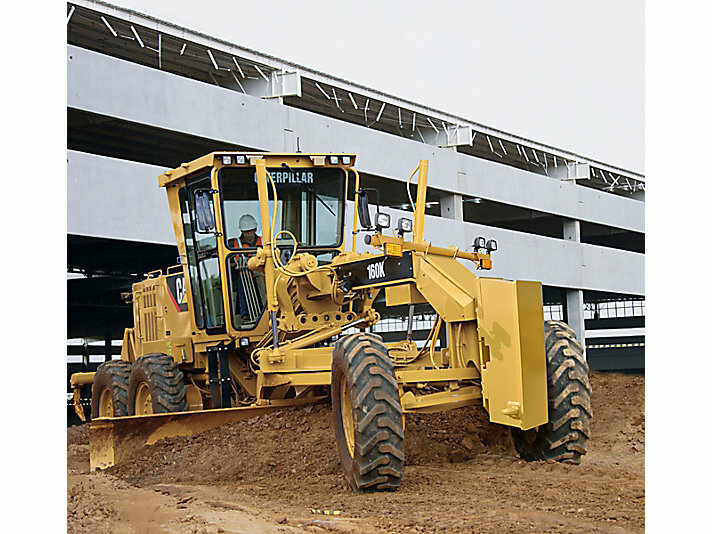 The Skidsteer Loader (often referred to as a Bobcat) is a little workhorse. As its name suggests, its basic function is loading, however, with the wide range of options available to it the Skidsteer Loader is capable of undertaking just about every little earthmoving application. Loading into Tip Trucks/Waste Bins. This is the perfect machine for small site clean-ups. Combination - Most come as a combination with a tip truck & are generally very cost effective when removing material from site or carting on site. Back filling trenches, pits, etc. Light Excavations - For excavating paths, driveways, small swimming pools, house sites, etc. in soft ground. Landscaping/Paving - Commonly used in these applications as Skidsteer loaders can dig, load, transport, spread, level etc. and has excellent mobility. A Positrak loader resembles a Skidsteer Loader with the exception that it is a tracked machine, allowing for greater site access during wet conditions. However given their small stature, they are not always able to load some larger trucks or bins. Water Carts are primarily used in Road Construction to maintain adequate water content in rock for compaction purposes. 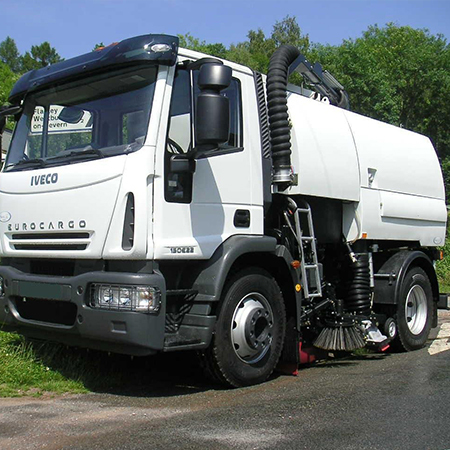 Also used in Dust Suppression, Tree/Lawn watering in areas where mains water not available and as Street Flushers. The majority of Water Carts are Trucks with Water Tanks mounted; the remainder being towed units. Unlike other Earthmoving equipment there is not the same standardisation of equipment specifications. Listed below are ranges of Water Carts with the functions you would normally find. Water Tank fitted to Single Axle Truck, have rear mounted Dribble Bar; some fitted with Power Spray Bars. Usually fitted on Tandem Drive Trucks (although some may be Single Axle), with Power Spray Bars on front and rear of vehicle. Some are fitted with automatic pump in-out facility. Larger capacity on Tandem Drive Trucks, normally fitted with front and rear power Spray Bars & some have pump in-out facility. Hand Hose - for watering purposes. For full specifications on the following items, please contact the Kingston Plant Hire Operations Centre on 1300 662 056. Graders are primarily a trimming and levelling machine and they have the added option of ripping. Grader Operators generally need to be highly skilled and have an excellent eye for levels. At Kingston we specialise in 'final trim' operators but please advise at the time of ordering if this is required. Final Trim - the Grader is the machine used for final trim and "working to level" in road construction and associated works, including the placement of the crush rock. Levelling - Re-establishment of dirt/gravel roads and open areas. Ripping/Scarifying - To remove old pavement, loosen hard ground. The Backhoe-Loader is the most versatile of all Earthmoving Machinery. This is due to its front and rear digging and loading operation, rubber tyres & road registration. Used for digging trenches, drains and footings. Carting - Carrying and/or loading material into Tip Trucks/Waste Bins. Excavations - For small jobs in 'soft' ground e.g. swimming pools, cellars, paths and driveways. Levelling/Spreading - Light material such as sand and crushed rock. Combination - Some backhoes come as a "combination" with a tip truck. This is generally more cost effective when disposing small quantities of material off site or transporting material around large sites. The Rubber-tyred Loader (commonly called Front End Loaders) are a high speed loading machine, best suited when working on road/compacted surfaces. Front End Loaders are used extensively by Road Contractors, in Quarries, on Golf Courses and with Concrete/Garden Supply distributors. Rubber-tyred Loaders range from 1 tonne through to 127 tonne machines: Kingston primarily hires Loaders in the 7 to 20 tonne range. All though most loaders are 4WD, they can struggle in wet conditions due to their rubber tyres. Loading – Fast loading, particularly out of stock piles and storage bins; they have a high bucket dumping height. Carting – Wheel loaders travel much faster than track machines, and are an excellent machine when material needs to be carried on site and/or over a short distance; where tip trucks not suited by distance or terrain. Commonly known as a Bulldozer, the Dozer‟s main functions are ripping, stripping, pushing over, levelling and compaction. They perform best over short distances. They can work in soil or rock. Dozers range from small 5 tonne machines up to a massive 88 tonnes; Kingston supply machines in the 7 to 40 tonne categories. The large dozers are mostly used in Mining and Quarry work. Dozers are also used extensively in the Forestry and Sanitary Landfill Industries. Land clearing and levelling - e.g. trees, scrub, rocks, "cut and fill" sites; can handle large volumes and heavy / bulky material. Excavate, spread and compact material - e.g. dams, land fill. Work most effectively over short distances. Through "track rolling" and: or with vibrating roller, very effective compaction machine. Ripping ground - Most machines have rear mounted "rippers" fitted; used for loosening up or ripping out hard ground including rock. Pushing Scrapers - Used as a combination with (Open Bowl) Scrapers; push Scrapers when loading materials, increases loading efficiency, particularly when working in hard or wet ground. Primarily an off road vehicle used primarily in the quarry and mining industries. Locally used in large volume off road cartage such as Dams, Marina's and Tips. Articulated models which offer greater maneuverability are also available. Scrapers are principally used for the bulk excavation/stripping of soft materials, their transportation and placement on-site. They are not suitable for use in wet & muddy conditions. Self Elevating – Have a smaller load capacity (range from 4 to 27m3) than the Open Bowl Scrapers but are self-loading, work better to level and have greater manoeuvrability. The self-elevating mechanism fitted to the bowl allows fast and full loading and at the same time breaks up the material. Open Bowl – Which have a large load capacity (15 to 35m3) & normally work in conjunction with a Dozer as a "push" machine to enable efficient loading, particularly on hard and wet ground. Twin powered Open Bowl Scrapers have a second motor that drives the rear wheels of the Scraper which provides greater loading power and traction. Stripping - Stripping top-soil/overburden and stockpiling on-site. Landfill works - Excavating soil/sand/clay and carting over unmade roads or paddocks. Kingston Plant Hire Operations Centre on 1300 662 056.